THE Supreme Court on Monday asked 21 Opposition leaders to file within a week their reply on Election Commission’s affidavit ontheirplea seeking counting of atleast 50per centofVVPAT slips inLok SabhaandAssemblypolls. In its affidavit EC has said that any further increase in the sample size of verification from the existing norm of one polling booth per Assembly segment wouldleadtoverynegligiblegain in the confidence level, which is way above 99.99 per cent. 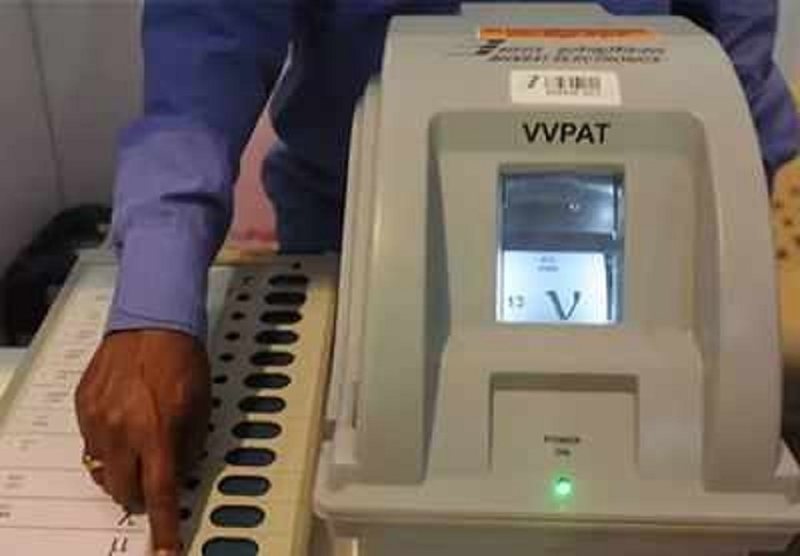 It has said that 50 per cent VVPAT slipverificationas sought by Opposition leaders in each Assembly segment of a Parliamentary or Assembly Constituencyonanaverageshall enlarge the time required for counting to about six days. The 21 Opposition leaders led by Andhra Pradesh Chief Minister N Chandrababu Naidu had soughtthatVVPAT slipsofatleast 50 per cent of voting machines in each Assembly constituency be checked randomly during Lok Sabha polls. It said increased VVPAT slip counting will require extensive training andcapacitybuilding of election officials in the field and substantial increase of such officials will be required for deployment in the field. “It is further submitted that when the pollsare imminentand pollingistocommencefromApril 11, 2019, to now seek to alter the system adopted by the Election Commission of India at this stage might not be feasible,” the affidavit said. The affidavit said that the21Opposition leaders have not disclose“even one specific instance for this Court to come to a conclusion that the existing system would in any manner adversely influence free and fair elections”.